يقع فندق Daintree Wilderness Lodge، المصمم ليناسب كل الضيوف سواء كانوا من رجال الأعمال أو السياح، في مكان ممتاز في أحد أكثر المناطق تفضيلاً في Cape Tribulation. يحظى هذا الفندق ذو 3.5 نجمات بمكان ممتاز يسمح بالوصول إلى المعالم السياحية الأكبر في المدينة، فهو يبعد مسافة عن صخب المدينة. يوفر الفندق بفضل موقعة الجيد وصولاً سهلاً إلى أهم معالم المدينة.
. كما يقدم Daintree Wilderness Lodge الكثير من الخدمات لإغناء رحلتك في داينتري. تتضمن الميزات الرئيسية في هذا الفندق: خدمة التنظيف يوميًا, واي فاي في المناطق العامة, صف السيارات, مطعم, جولات. استمتع بوسائل الراحة الراقية في الغرف أثناء إقامتك هنا. بعض الغرف تتضمن قهوة فورية مجانية, شاي مجاني, مرآة, مناشف, مظلة لمساعدتك على استعادة طاقتك بعد يوم طويل. سواء كنت من محبي الرياضة أو كنت تتطلع لتفريغ عناء نهار صعب، ستجد خدمات ذات مستوى عالي بانتظارك كمثل حوض استحمام ساخن, سبا, حديقة. 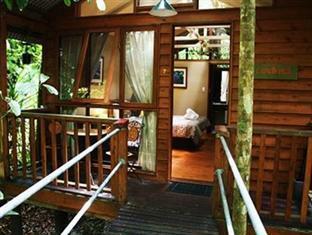 يشكل Daintree Wilderness Lodge بخدماته الراقية وموقعه الممتاز، قاعدة مثالية للاستمتاع بإقامتك في داينتري. This place had just been sold and was being looked after by temporary caretakers who'd just arrived and were learning the ropes. Despite this they were very accommodating. The complimentary breakfast was particularly good! It was obvious the previous owners had let the place run down a bit and it needed some love. It was also disappointing that the spa was not operational. Yes , there's no TV. But the moment we arrived we were given a map and some really great instructions on how to get around, what to see and do, all before we were checked in. The rooms are far apart from each other and at times you feel like the only person there. the breakfast choices are basic, but good enough to get you through your sightseeing mornings. It was the hospitality that was great and the fact you feel like your in a tree house deep int he forest. Fantastic place to stay & explore the Daintree & Cape Trib. Be sure to stay a few nights to give time to such a stunning part of our world. Second time here. Love being right in the rainforest. Excellent resort. Set in the middle of a rainforest. Amazing experience travelled with my 22 year old daughter and we both had a wonderful time. Food was delicious both breakfast and dinner. The hosts Jennifer and David were lovely and very accommodating. The most wonderful experience was seeing the resident wild Cassowary at breakfast one morning. Most amazing hotel we have ever stayed in...watched a cassowary eat fruit as we had our breakfast! Completely surrounded by lush rainforest, incredible experience! Cabins in the forest but also not far from road so the best of both worlds. Cabins were comfortable, good bathroom and comfortable bed. A casawary did his rounds between the cabins in the mornings which was amazing to see! Jennifer made us feel extremely welcome and David’s cooking was brilliant. Good suggestions were given for day trips out and for our journey back to Cairns. This is a special place to stay and we really enjoyed it. Jennifer and David are the consummate hosts. From the beginning Jennifer wanted to make sure that we understand all that the area had to offer. She even suggested a snorkeling outing out of Cape Tribulation after the one that we had booked in Port Douglas had been cancelled. When we had to leave early, they sent us off with 2 lovely boxes of cut up fruit for the morning’s drive back to Cairns. Would definitely recommend the Lodge to anyone traveling in the area. Nice and relaxing place. Clean and quiet. We stayed only one night, and it was a good experience! Fantastic location, a warm welcome and great service. Great location, beautiful wooden lodges, family run and managed, we received lots of great tips and advice from Jennifer, she booked guides for us, wonderful food. Would really recommend staying here. Just a lovely location, and we really liked hearing the cicadas and other rainforest noises as we went to sleep. Jenny and David were amazing hosts, the food was fantastic - even for my vegetarian wife - and I really can't think of much they could do to improve things further! I guess I would have liked more control over the aircon, but I can understand that in an eco-certified place that runs off a diesel generator (no grid power or feasible renewable options). Absolutely beautiful accommodation, we had cabin 6 ‘silky lodge’ which seems to be the most private. You can’t see any other buildings through the trees. The included breakfast is really good, full cooked, croissants or granola which all came with a big fruit platter, juice and tea. The couple that run it are very welcoming and friendly. We got there quite late at night and there was no problem checking in. They were also great for local recommendations. Really easy to drive to cape trib (30mins? Maybe less). And close to the daintree visitor centre and a couple of restaurants (driving). We didn’t want to leave!! 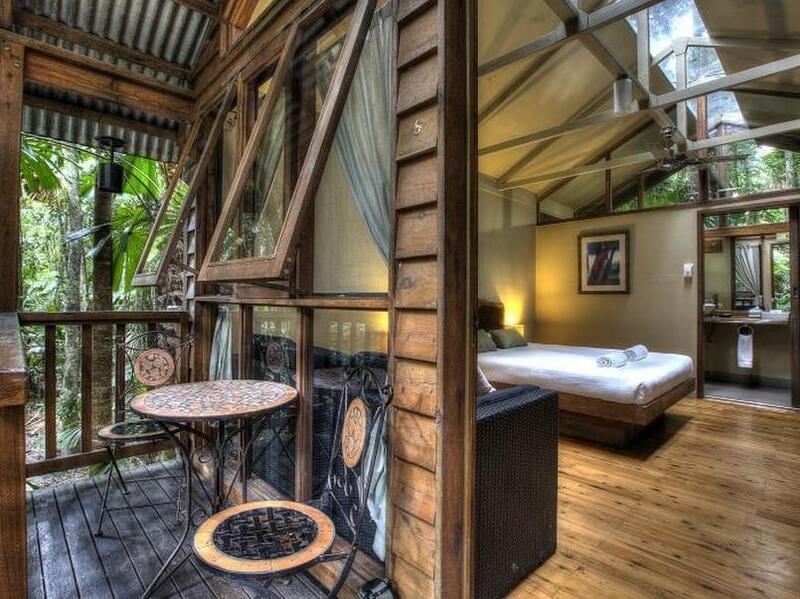 You could easily have an extra day here just to chill in amongst the rainforest! Fully recommend! 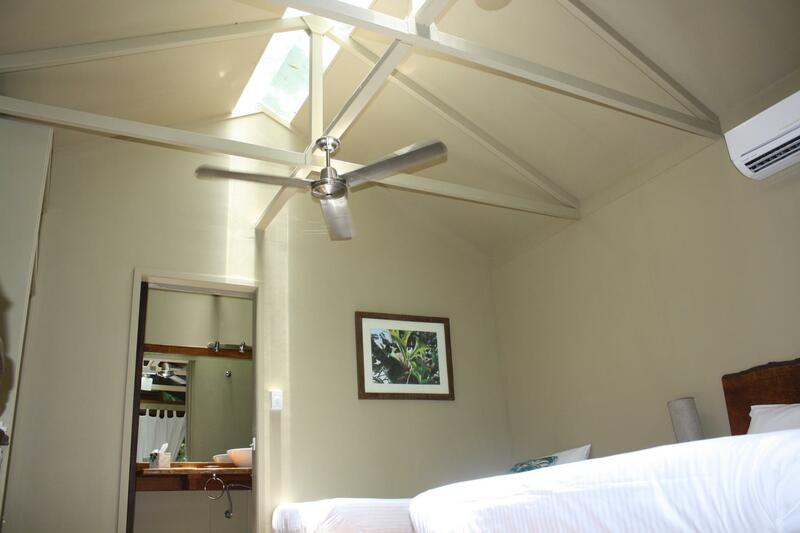 Beautifully maintained eco-lodge tucked in the jungle. Cassowaries roaming around in the morning before and during breakfast. The breakfast itsekf was perfect. We had dinner in the evening in the restaurant and it's a must! Local food and perfectly cooked. Lovely environment. Thanks so much Jen and David! Staff happy to please .placed in the hearth of the forrest with wonderfull wild life and nature every where .made my trip to daintree .beautiful area.